Are you bothered about the fine lines you're getting? It really bothers me when I started noticing the fine lines I had on my forehead and my nasolabial folds especially when it was pointed out by my husband, I know these problems can be easily taken away with a simple procedure like getting fillers done but the thought of needles just scares me away. Facial lines and wrinkles come naturally as we age, unfortunately, we cannot escape from them no matter how hard we try. Thanks to my recent collaboration with Boutique de Beauté 懶都可以靚 I got to try Fillerina® an innovative and revolutionary no-needle hyaluronic acid filler treatment for at home use, the 14 days treatment is safe and clinically proven, it allows hyaluronic acid to penetrate into the dermis layer an alternative to injections for those who are needles shy. Fillerina® contains six different types of Hyaluronic Acid with different molecular weights and structures, allowing they hyaluronic acid to reach dermal layer. Hyaluronic Acid is a fundamental component of the dermis, it provides the skin with classic characteristics of softness and elasticity. However, its concentration within the connective tissue tends to diminish with agw HA allows the reactivation of mature skin by stimulating cell functionality and restoring firmness. 14 doses (2ml) of gel filler. 2. 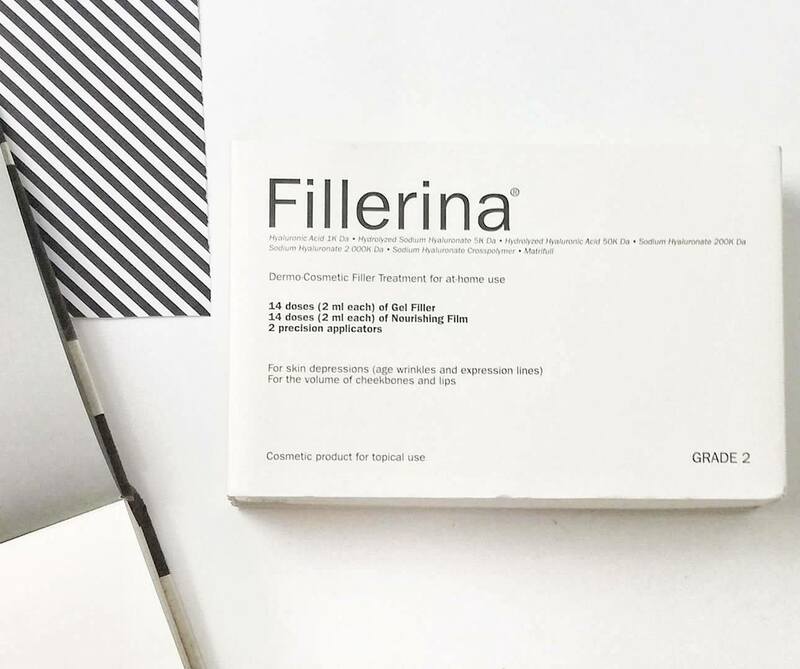 Take the other applicator, extract 2ml of Fillerina® 2 Nourishing Film and applied all over the face and neck. *Note: Drink 2 cups of water before using Fillerina® Treatment will increase absorption. 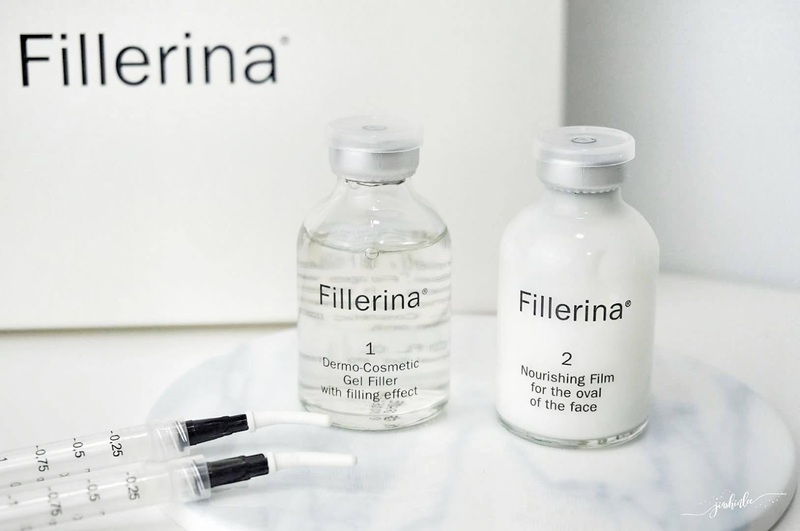 If you are looking for a treatment to get rid of those visible wrinkles and expression lines without the use of needles Fillerina® help recover the skin's former smoothness and suppleness with this two-phase treatment. Phase 1 penetrates the skin's lower layers to secure an uber-hydration effect whilst plumping up the skin glamorously, meanwhile, Phase 2 creates a weightless barrier against dehydration with a cocktail of skin-loving ingredients including moisture-rich Vitamin E, Meadowfoam Seed Oil and Shea Butter. wow... another cosmetics! this one really looks good! how much it costs? Nice product. Can we use this if we are still in our 20s? How much it cost dear? nampak menarik dan soft jer.. mesti lembut kalau pakai nie. Wow good product to visible wrinkles and expression. Got 5% off when using your code. Interesting! menarik juga Fillerina ni. senang tak nak apply pada wajah? is it painful? sound scary for me. hehe. wah.. boleh kurangkan kedutan yea.. boleh try ni.. TB pun umur makin meningkat ni.. kena start jaga kulit wajah dah.. alamak.. awat ada jarum tu?? takut pulak nak cuba..